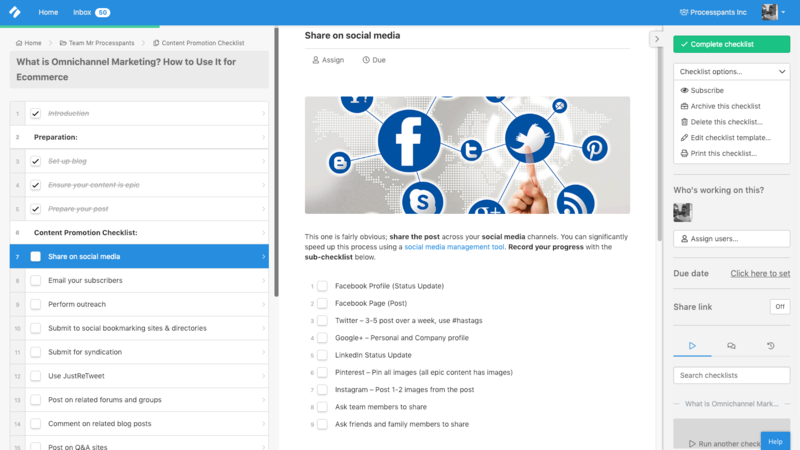 There are lots of ways to use an RSS feed. 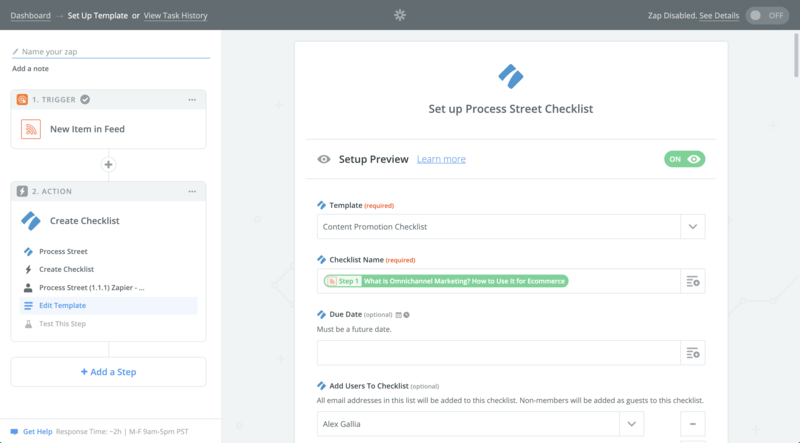 Beyond being a convenient, centralized source of information you want easy access to, it can be integrated with Process Street to automate repetitive tasks so you can work more efficiently. For example, when a new blog post has been published on your website, you’ll want to start promoting it right away. 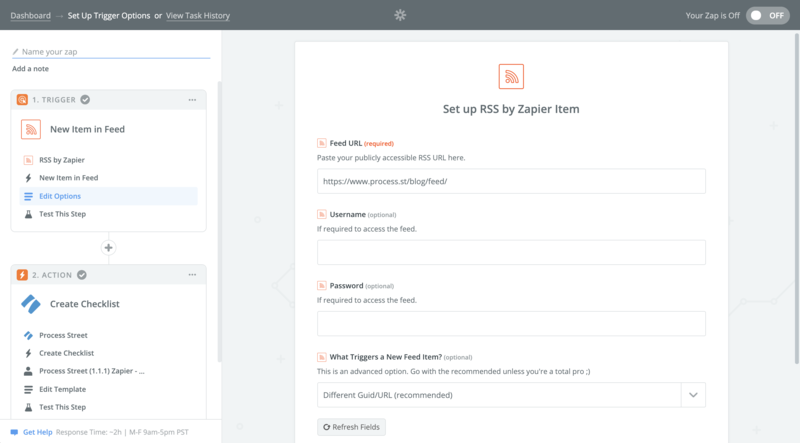 By taking a few minutes to set up a simple automation rule in Zapier, you can kickstart the process without wasting any time. 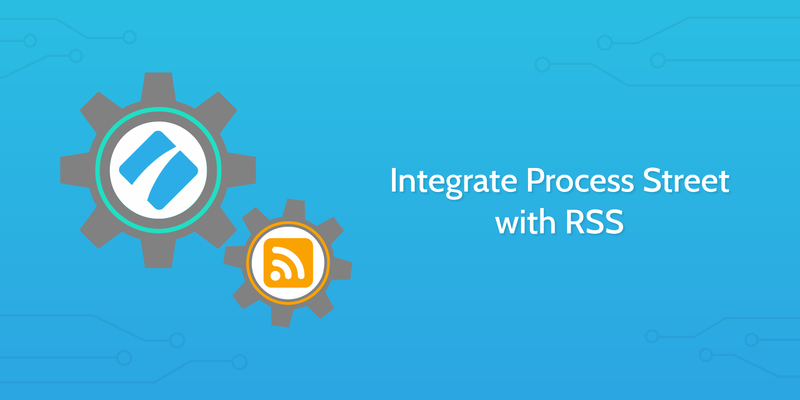 Through RSS by Zapier’s integration with Process Street, you can automatically create and assign a content promotion checklist as soon as an article goes live, beginning the promotion process without even lifting a finger. Let’s outline the use case and go through how to set this up in Zapier. 1. 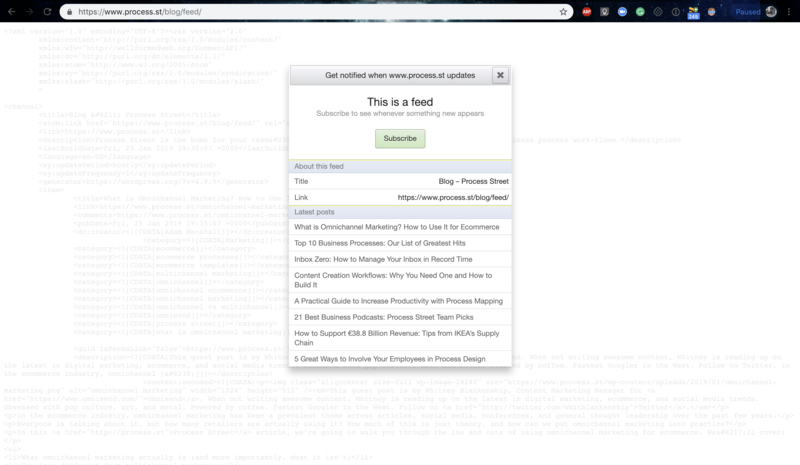 Obtain your blog’s RSS feed URL by adding “/feed” to the end of the webpage URL. 2. Login to your Zapier account and click “Make a Zap!”. 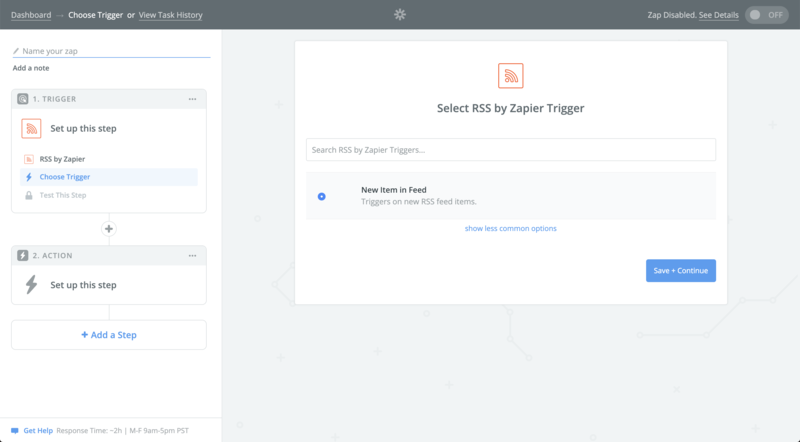 Select RSS by Zapier as the trigger app and “New Item in Feed” as the trigger. 3. Enter your blog’s Feed URL. If your blog requires a username and password, enter those details too. 4. 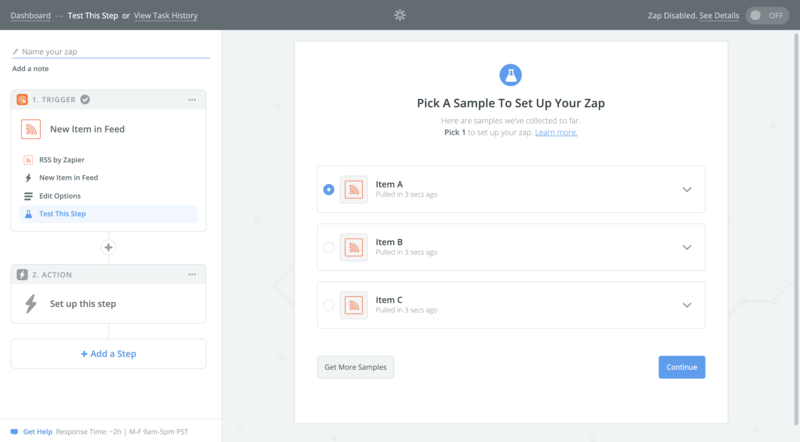 Pick a sample to test the zap and move on to creating the action. 5. 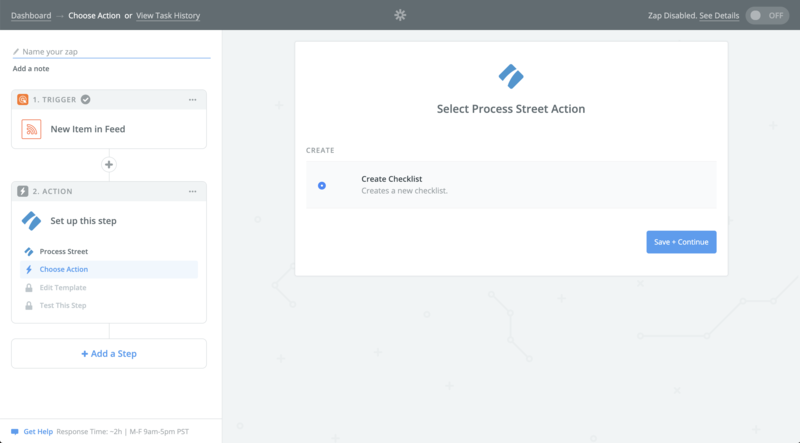 Select Process Street as the action app and “Create Checklist” as the action. 6. In the “Edit Template” page, select the “Content Promotion Checklist” template and the title of the article as the “Checklist Name”. There are numerous other details that can be connected to the checklist, but setting the name is the first step to getting the process underway. 7. Test the zap, login into your Process Street account and confirm that the checklist has been created properly. If everything looks good, turn on the zap and look forward to a smoother content promotion process.